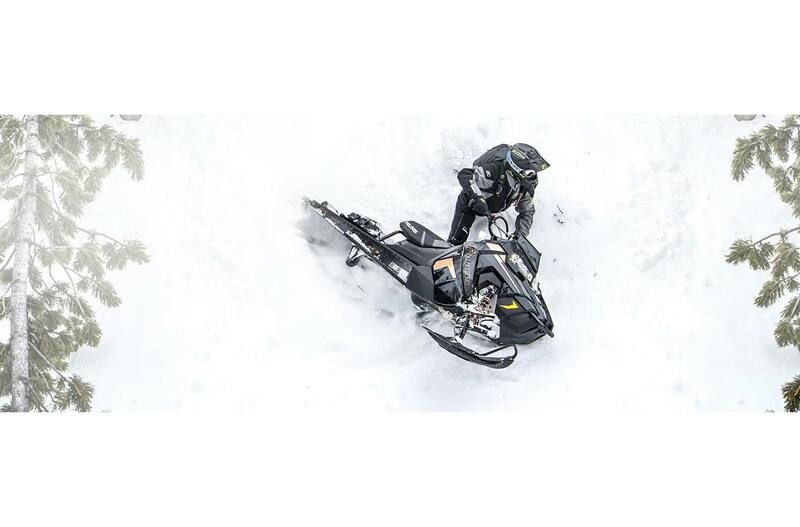 The 800 PRO-RMK® 155 is the lightest, strongest, most flickable deep snow sled on the market. 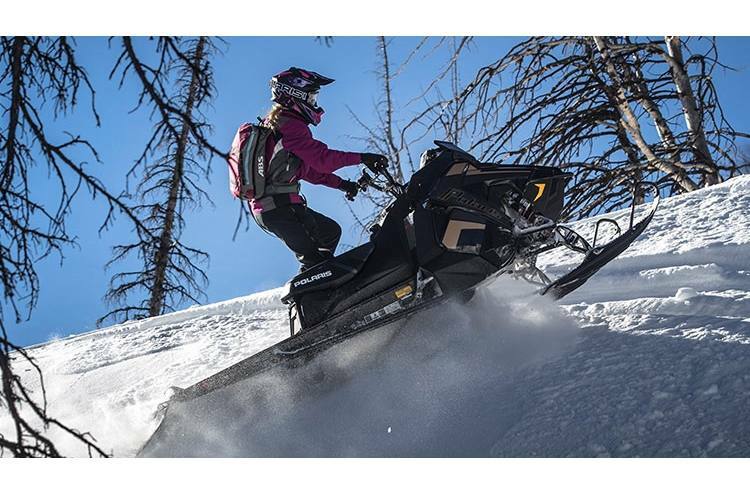 The world's best mountain sled features the industry's best power-to-weight ratio, giving the rider instantaneous lift and immediate response. 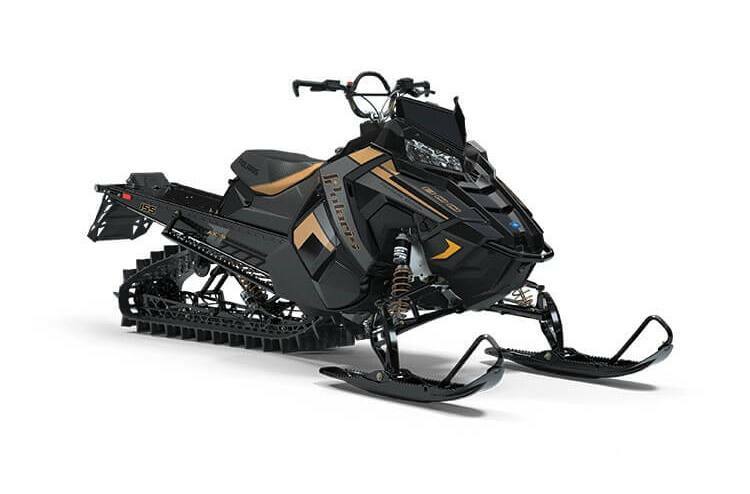 Track Options: PRO-RMK riders have a choice between the Series 6 2.6" track and the Series 7 3.0" track. 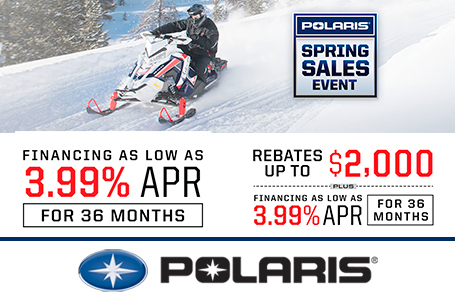 The Polaris® exclusive Series 6 2.6" track provides the ultimate all mountain performance. 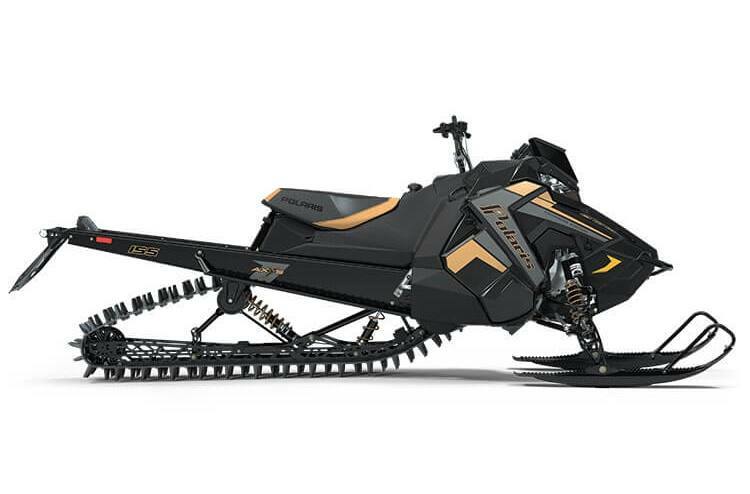 The new lightweight track is designed for improved deep snow and hard pack traction and better lift. 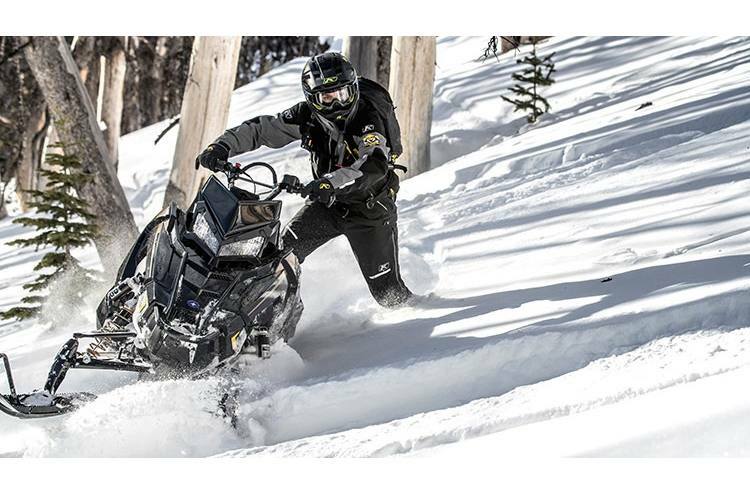 The Polaris exclusive Series 7 3.0" Track is the ideal track to provide lift in the deepest, softest snow conditions. Features a lightweight single-ply design optimized for weight and powder snow performance. 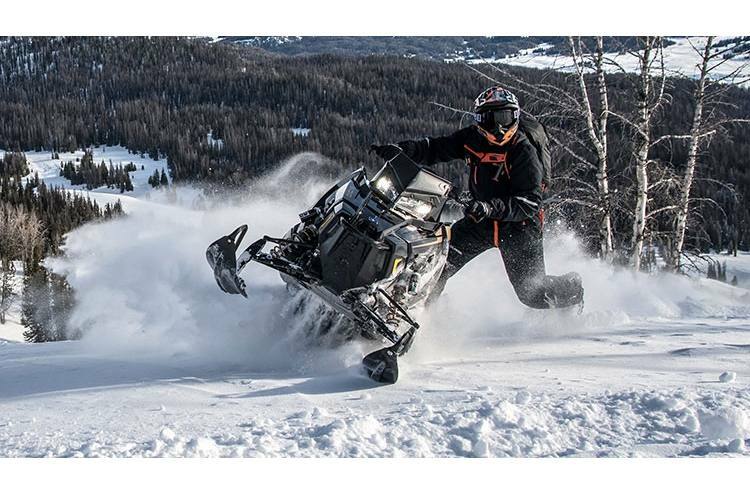 All 3" track models feature a gearing-optimized chaincase drive system as well as a unique snow flap designed to work with the 3" track. Walker Evans® Shocks: PRO-RMKs come with premium Walker Evans® Piggyback Clicker Shocks or the Walker Evans® Monotube Shocks. The Walker Evans® Piggyback Clicker Shocks with compression adjusters and remote reservoirs offers the best performance across the broadest range of conditions. The Walker Evans® Monotube Impact-Extruded Shocks are the lightest weight shock option from Polaris for those riders counting ounces. The one-piece, simple design is lightweight yet durable.